Right now I spend my weekends in jeans! I miss wearing them all the time, so I find myself in the comfort of jeans and a really fun tee. 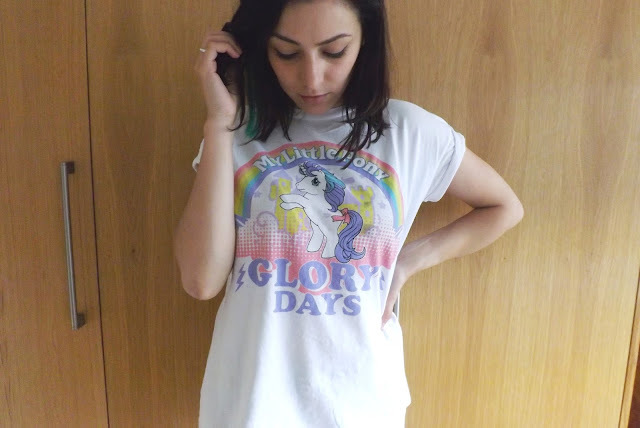 Today it's my My Little Pony tee which I haven't worn for literally ages. And I realised why when I found a black oil stain that won't wash off the front. But it's Sunday, so it's a relax day. I don't have to worry about the stain. It makes no difference to my day. 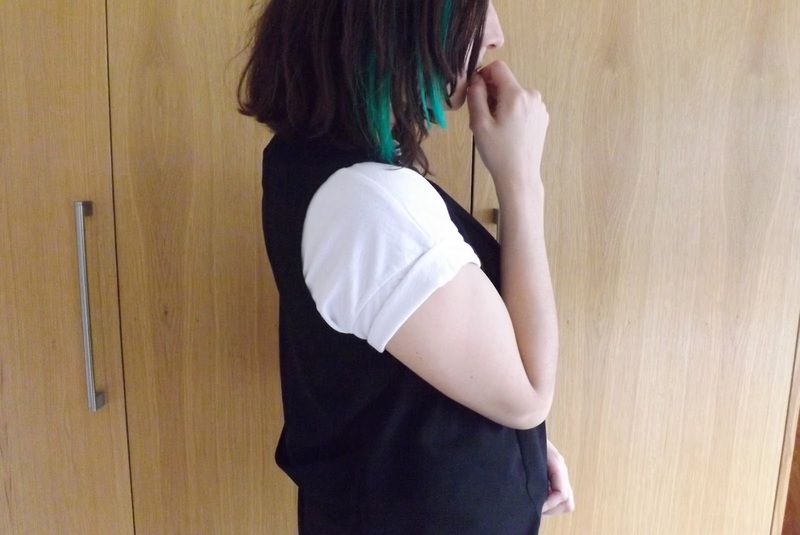 I'm wearing this simple outfit today with my favourite new waistcoat that makes any outfit look smarter. I think it looks so good with a tee! 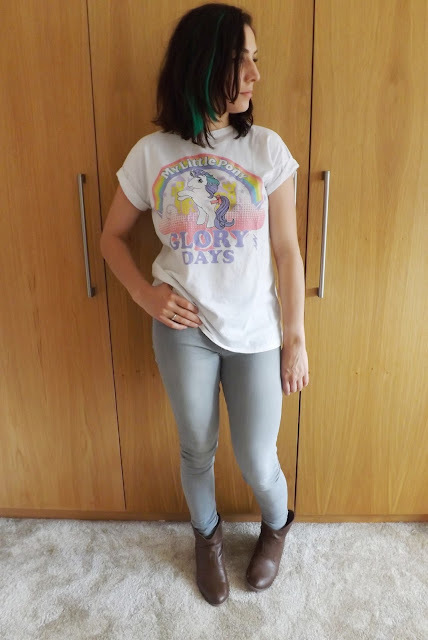 And of course my new favourite combos: grey jeans with brown boots. Or even more so black jeans with brown boots - but my black ones are in the wash right now. I don't know what it is but the contrasting grey/black colour work well with this shade of brown. 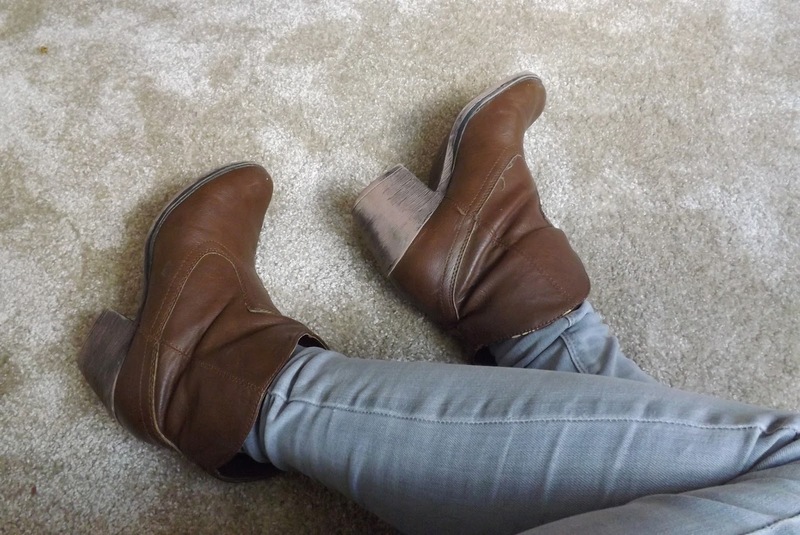 And these boots look pretty dang good with jeans! These boots are a serious favourite right now... I'm pretty sure these will be in this month's favourites! I think I'm going to see boyfriend now though. We're not not feeling 100% so we're not sure it'll be good to see each other. We'll see! I think, the grey jeans goes very well with the black boots. 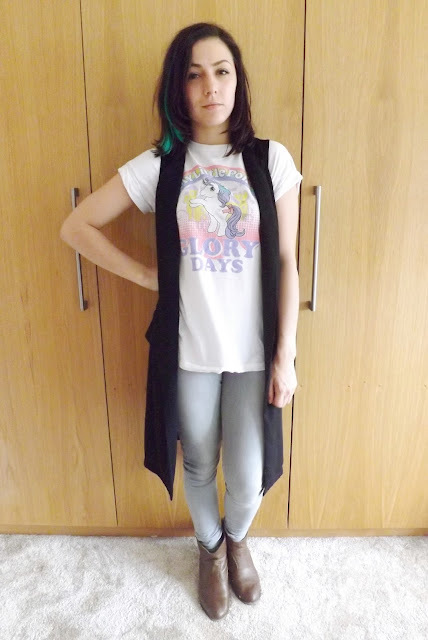 You remind me of my wish also having a grey pair of jeans <3 I am craving for a ripped one from Topshop! Ok wearing jeans and just having a chill day is the best! 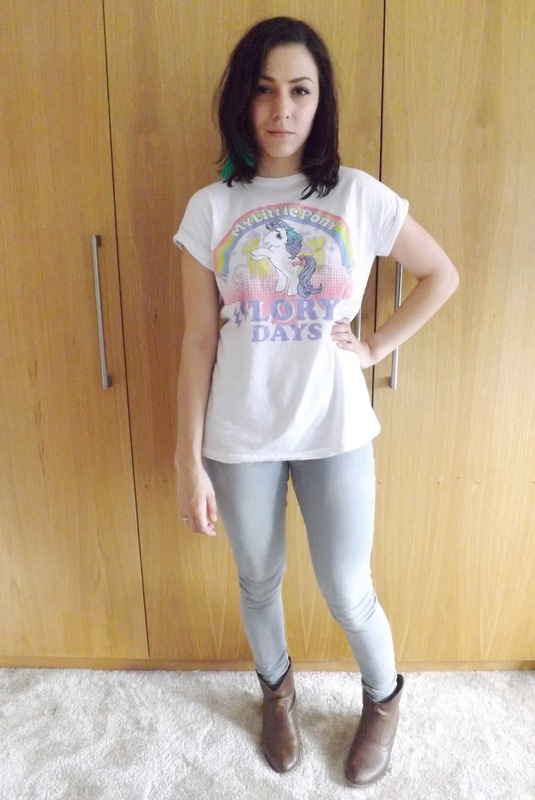 You still look beautiful and very put together and I *love* the My Little Pony tee. 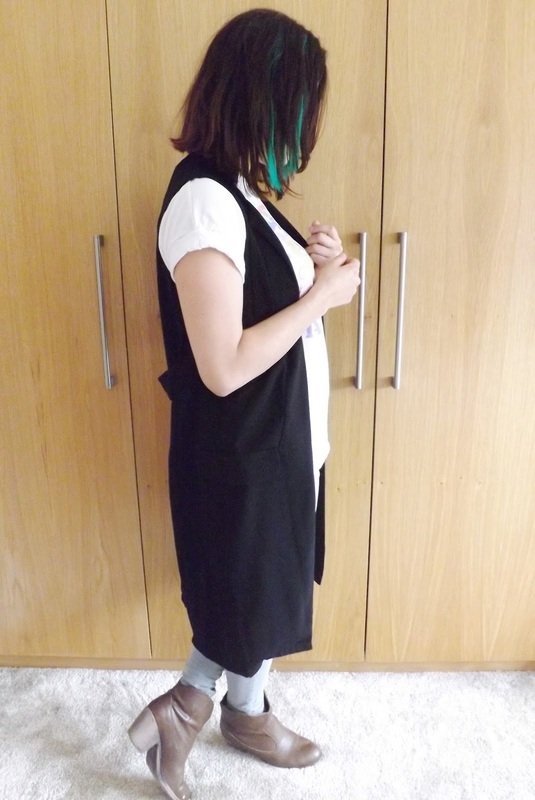 The waistcoat really does go so well with the outfit. I wish I looked this good on the weekends!